What happens when two middle-aged women decide to pursue their dream of owning and running a not-for-profit teaching farm? Bonnie feeding Buttons, nicknamed “Maybelline,” a Scottish Highland and Texas Longhorn cross. Bonnie and Jen in the kitchen and classroom. Photo by Margee Kooistra. McCann grew up in the Washington, D.C., suburbs but spent a lot of time with her grandparents on Cape Cod, where she learned to love cooking from her grandmother. “I inherited her enthusiastic—if messy—cooking methods,” McCann said. While growing up, her family always had a garden. “I remember lugging gallon milk jugs full of water back and forth and swearing that I didn’t care if I ever saw another zucchini squash,” she recalls. Her Loaves and Fishes partner, Jen Briggs, grew up locally and she, too, enjoyed a childhood full of the joys of farming. She also benefitted from the knowledge both of her grandmothers shared and their passion for feeding their families using foods they grew and made themselves. Briggs and McCann met at a church event and hit it off immediately, realizing they had many common interests, including cooking and agriculture. “We were both doing energy auditing and teaching at Harrisburg Area Community College for workforce development grants, and we were meeting a lot of great people … but we noticed that these nice people did not know basic skills for daily living,” Briggs said. 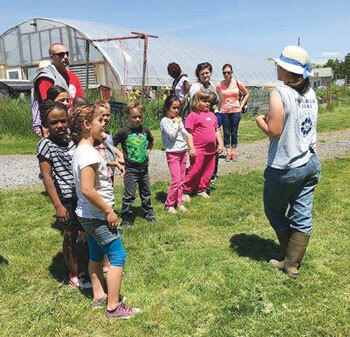 First-graders on a farm tour learning about animals, plants, bees, composting, and recycling. Picture by Helene Briggs. Farm visit from Market Square Presbyterian Church of Harrisburg’s Alternative Worship Experience group. 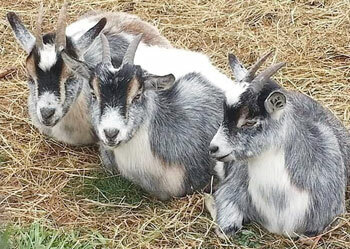 Three little billy goats. Photo by Bonnie McCann. They began to consider how and where they could teach these life skills, along with encouraging an increased environmental awareness and a more sustainable lifestyle. “Having a (teaching) farm seemed like a natural progression,” McCann said. 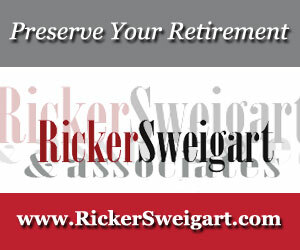 “We thought about what we could do if we had some acreage—what could we grow? How much could we share?” Briggs said. Finding just the right place, though, was a challenge until a farmer friend told them about a place in York County. Although it wasn’t exactly what they’d had in mind, McCann and Briggs went to the auction just to see what would happen. What happened was the purchase of the farm. The name Loaves and Fishes Farm comes from the faith that Briggs and McCann share. “The parable of loaves and fishes focuses on bounty and the joys of sharing what you have with others,” McCann said. It seemed to fit perfectly into their plans for the farm. 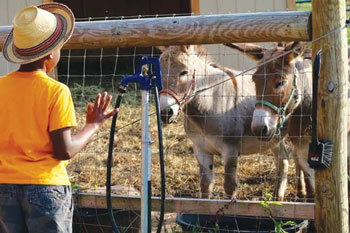 Loaves and Fishes Farm focuses on and works to be as environmentally conscious as possible. They use soil-based raised beds and have a small orchard, a greenhouse, and “lots of animals,” McCann said. 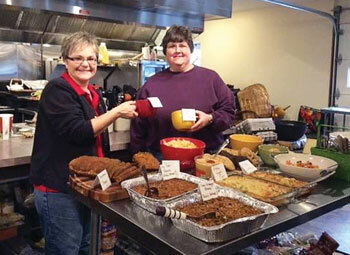 Briggs and McCann turned the four-bay garage that came with the farm into a commercial kitchen and classroom, which is a constant “hub of activity,” Briggs said. Because they both have full-time jobs in addition to their duties on the farm, life can get pretty hectic at times for McCann and Briggs. “When we are in the planting season, we have to make sure we are weeding and watering and fertilizing properly … and we are also using our hydroponics equipment, which turns over every seven to eight days or every six to eight weeks, depending on which piece of equipment we are using … and that doesn’t have anything to do with running the classes or marketing or anything else that we do,” Briggs said. 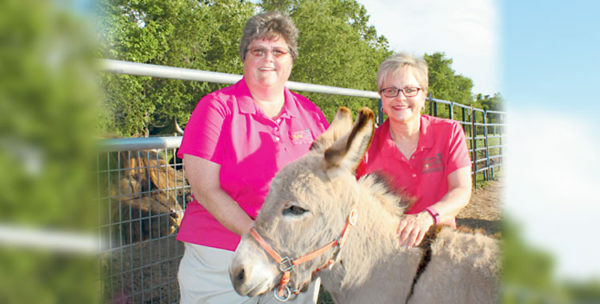 Although the original goal of the farm was to teach life skills, something they are doing successfully, Briggs and McCann also are sometimes surprised by how those who visit the farm are affected by spending time there. Running a not-for profit entity is exhausting, labor intensive, and costly—but it’s also given both McCann and Briggs a great deal of satisfaction and reassurance that they did the right thing by pursuing their dream. “There are often times, you know, when it’s raining or snowing … that I wonder why we’re doing this because it would be a lot easier just to write a check somewhere to donate,” Briggs said.